So, you have decided to Develop/Test or run Demos/Training in the Cloud. That’s Great! That is the right choice. While we are all aware of the benefits of the Cloud. You now have to put your trust and data somewhere else. So it’s important that you feel safe there. You should be sure that your machines, your code, your configurations (and more) are safe, and that’s what I’m going to talk about in this nugget: “Security in the Cloud!” Or to be more Specific: How CloudShare keeps you safe! Your machines, your environments, your virtual networks and configurations are isolated and separated from Other users. Walled off. Each time you’re creating a new environment, a new separated virtual network is automatically being created and configured just for your new environment! Separate networks ensure that other users cannot access your machines. On CloudShare TeamLabs and Enterprise you are able to Create/Modify/Configure additional Networks individually as you wish – For Maximum Flexibility and Security! 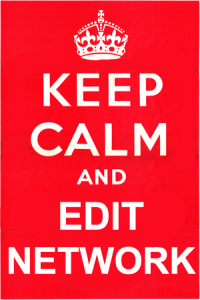 Under ‘Edit Networks’ you are able to choose if your new Machine should be accessible from the Internet or not. Which determines if we should provide you with a public IP address via NAT Technology. Under the same page, If you chose to have public access, You can Also choose the list of TCP ports and UDP ports to be accessible externally. This feature provides you with more control of what kind of Traffic is OK in YOUR Environment. By limiting access to the web you limit who can even “see” that your machines exists. Identifying Packets’ Application layer, Preventing Malicious Network Activity from Getting in. Automatically Blocking Hackers\ Attackers\ Port Scanners\ DDos Flooding\ Application Exploits attempts\ Suspicious network Activity. Much more, but we have to keep some of the secrets to ourselves. Our Automated Monitoring System can identify suspicious activity and alert immediately the team to prevent your environment (and your work!) from being compromised. So to sum up, CloudShare sees the peace of mind of our users as a first priority. 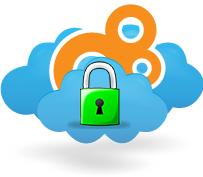 We want you to know you’re safe in our Cloud!